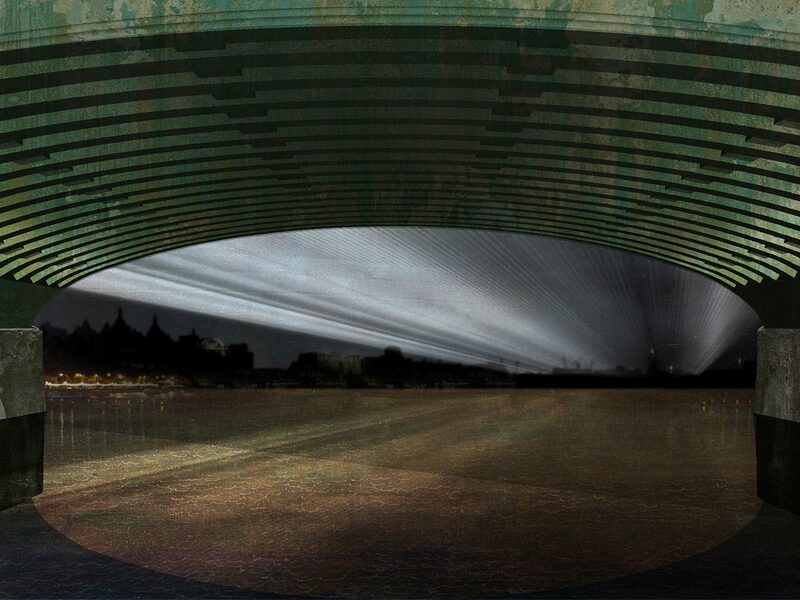 Studio Dekka on team shortlisted for The Illuminated River, International Design Competition. Studio Dekka are part of one of only six design team shortlisted for the Illuminated River Design Competition that will celebrate London’s famous river with light as a medium for public art and new lighting technology, reducing energy consumption therefore making the city greener and public spaces accessible for all after dark. Each team will produce a concept proposals for four bridges in central London (Westminster, Waterloo, London & Chelsea) and an outline masterplan for all seventeeen existing and proposed bridges between Albert Bridge in the West and Tower Bridge in the East. The £20 million project will be funded mostly from private sources, by the Illuminated River Foundation backed by the Rothschild Foundation, and is supported by the Mayor of London and Transport for London. The final competition entries will be exhibited to the public at the Royal Festival Hall in London from mid-November 2016, and the winner to be announced in early December 2016 at an event in the Switch House of Tate Modern on the Southbank. Newer Post Commendation for Wood Green / Green Lanes at the Haringey Design Awards 2016	Older Post Dekka appointed to develop Kingston Riverside Lighting Strategy.